Marvel Comics will gear up production of titles tied to the upcoming Avengers: Infinity War film (opens May 4, see “Best in Shows – Q2 2018”). in early 2018 with a quick collection of the two-issue comic prelude to the movie story, plus two new one-shots, a new Starlin OGN series, and two collections of fairly recent material. 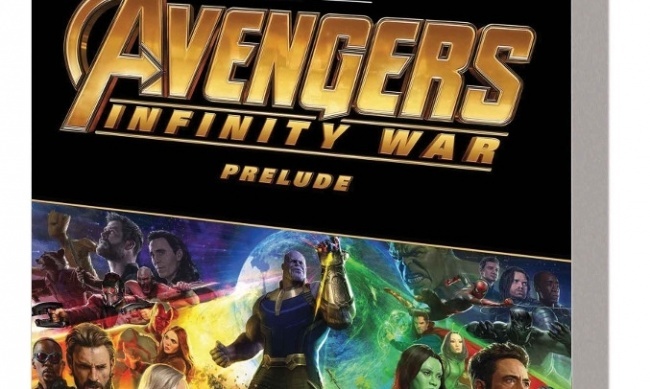 Marvel has planned a two-issue series with a “prelude” story to Marvel’s Avengers: Infinity War; the first issue of Marvel’s Avengers: Infinity War Prelude is scheduled for January 24 and the second February 28. 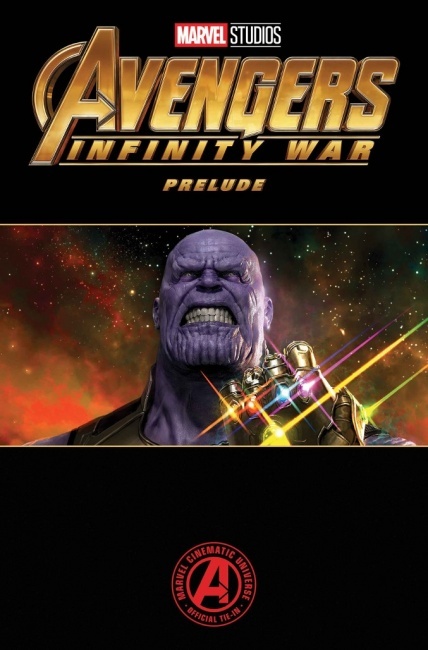 A timely trade paperback will then be released April 4 collecting the two issues plus Infinity #1 and Thanos Annual #1 in a 136-page volume. The stories are written by Will Corona Pilgrim with Jonathan Hickman and Jim Starlin. Art is by Tigh Walker, Jim Cheung, and Ron Lim. Captain America and the Winter Soldier go rogue to find a terrorist, but Iron Man isn’t far behind. MSRP is $15.99. The two one-shots ship three weeks apart, with scant information on the second. 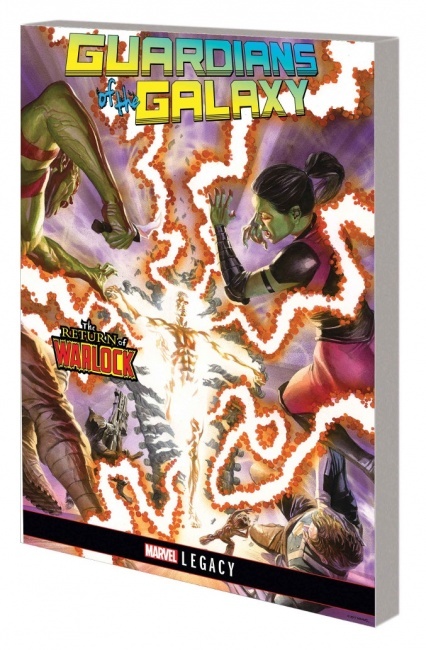 Infinity Countdown: Adam Warlock, a one shot written by Gerry Duggan and drawn by Aaron Kuder will see Adam Warlock returning from the realm of the dead, seeking the Soul Stone to find out what it did to him. He’ll be aided on this Infinity Quest by Kang the Conqueror. The 40-page one-shot will release on January 31. MSRP is $4.99. 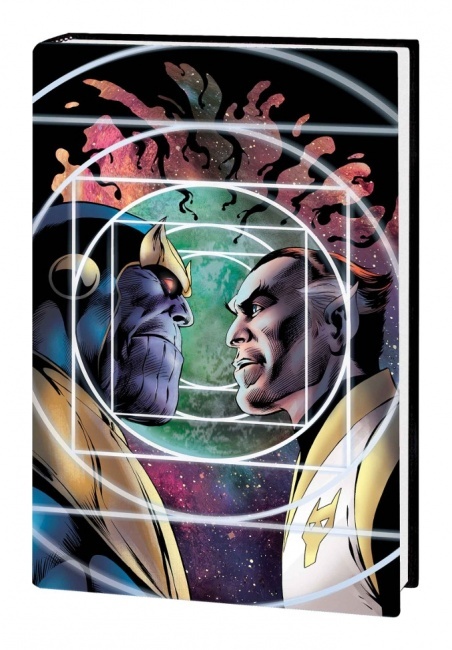 Infinity Countdown Prime #1 was teased with few details, other than the info that there will be a Hulk variant cover by Marcos Martin and a trading card variant cover by John Tyler Christopher. The 40-page one-shot will release on February 21. MSRP is $4.99. Thanos: The Infinity Siblings will be an original graphic novel written by Jim Starlin, with pencils by Alan Davis, and a cover by Starlin. The 112-page hardcover will be the first release in a trilogy. A temporal distortion on Titan draws Thanos’ attention, and soon he falls into a trap from an old enemy, and he’ll have to enlist Eros and Kang the Conqueror to save the Multiverse. Release is planned for April 4. MSRP is $24.99. 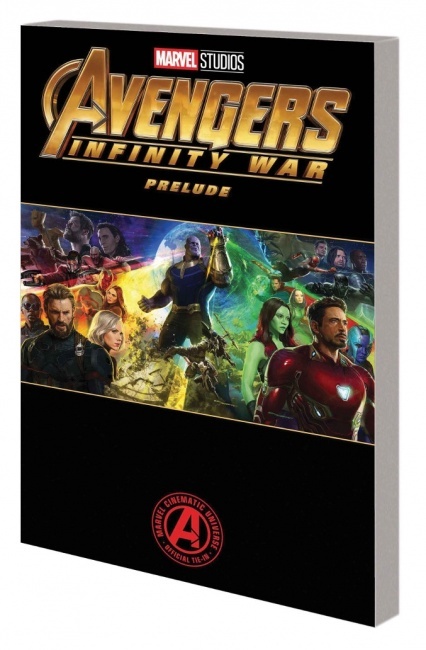 The new collections offer more recent (and affordable) material than the complete $500 box set pre-solicited for March (see “To ‘Infinity’ and Beyond”). 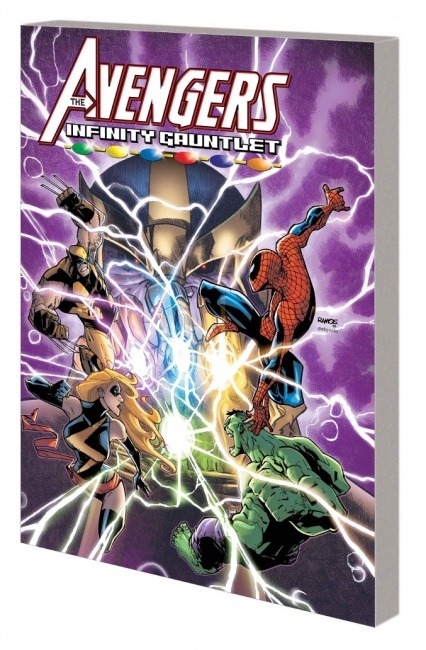 Avengers & the Infinity Gauntlet is written by Brian Clevinger and Lee black, with Jim Starlin. Art is by Brian Churilla and George Perez, with a cover by Humberto Ramos. The 136-page paperback collects Avengers & The Infinity Gauntlet # 1 -4, and Infinity Gauntlet #1 (1991). MSRP is $15.99. The book will release on March 7. The All-New Guardians of the Galaxy Vol. 3: Infinity Quest TP by Gerry Duggan and Marcus To will see the Guardians begin their search for the Infinity Stones, by joining up with the Nova Corps. Release is planned for March 14. MSRP is $15.99. This volume collects issues up to #150, which ships 1/3. Click Gallery below for full-size versions of all of the images above!